"Photo Credit: Falando Jones Photography." Birthed in February 2015 in Indianapolis, IN, Adam's Rib is a podcast used to uplift, encourage, and guide women in being what God has created them to be. We believe that Jesus Christ is Lord, our savior, and redeemer from sin and death. Through the podcast, we share and introduce the purpose of God via discussion, scripture, and entertainment. Every topic, including personal views, does not have limits. We ensure that women of all kind, and men, receive a better understanding and wisdom of the female perspective. Our prayer and mission allow us to share the light and promises of Christ, encourage you, enlighten and guide you to your promised purpose of God. Adam's Rib is hosted by Lindsey Arnold and often co-hosted by Brandon Bufford. We are passionate about ministering and helping women discover their God given purpose. Lindsey is not just a host of a podcast, she is a woman that is being obedient in what God has called her to do which is to pour into other women who are seeking fellowship with Him. In addition to hosting a podcast, the ministry team writes blogs, serve the community, hold women's brunches, hosts small groups, and much more. It is our hope that God speaks to you through this ministry and that you are able to connect with us each and every week. 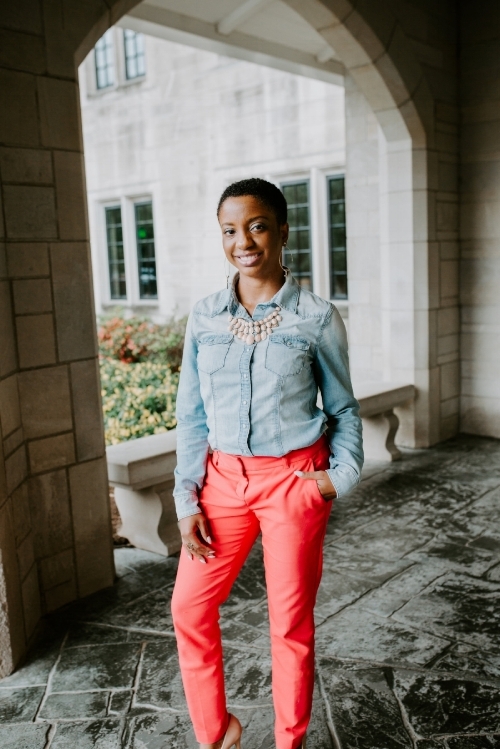 Lindsey Arnold was born and raised in Indianapolis and is a graduate of North Central High School. She's dedicated to women's empowerment, higher education, and giving back to the community. She attended Ball State University for her Bachelors and Nova Southeastern University for her Masters. She's currently an Associate Director at a university and in her spare time she enjoys reading, playing tennis, volunteering, and planning purposeful events and activities for women. Lindsey is the creator, founder, and host of Adam's Rib. God has called Lindsey to this unique ministry and the only one of its kind in Indianapolis. It is Lindsey's goal that Adam's Rib touches the lives of all women from all walks of life through God's Holy Spirit and truth. She's dedicated to helping women find their God given purpose and uplifting God's kingdom through this podcast and outreach. It is Lindsey's prayer that God uses her as He sees fit and to provide a thought-provoking and powerful podcast. Brandon Bufford is a graduate of Pike High School and a former student of the Art Institute. God has blessed Brandon with the gift of music-including songwriting, arranging, producing, and playing piano, organ, drums, and trumpet. Brandon has chosen to use his gifts to glorify God and uplift His kingdom. Brandon is the producer of Adam's Rib and you will also occasionally hear him as a special guest in several episodes. Along with being the winning band in the 2014 annual Strange Arrange competition (B.On.It. Productions), he is the Owner and CEO of LetzMove Corporation, Engineer of Humble Creations Studios, Music Director at New Beginnings Fellowship Church in Indianapolis, IN, Director, Producer, and Owner of B.On.It. Productions, The Movement Connection, Adam's Rib, and Father to one daughter, Dionna.